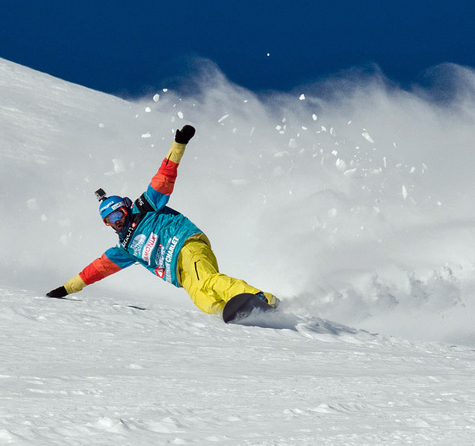 The freeride snowboard events begin February 14 at Alpine and end February 16 at Squaw Valley. The first event is a Masters 2-star Freeride World Qualifier (FWQ) at Alpine Meadows. The top five men and top three women advance to the Masters 4-star (FWQ) Championship event at Squaw Valley on February 15-16. The North Face Masters highlights the sport of big mountain freeride snowboarding. Competitors use their own unique lines down the natural terrain to score points. Points are awarded for the successful management of cliff jumps, steep terrain, tight chutes and variable weather conditions. The top riders from the North Face Masters will be qualified for the 2014 Freeride World Tour. The World Tour makes a number of stops, including Canada, France, Austria, Switzerland and Kirkwood, California. Kirkwood will hold the 2013 Swatch Freeride WorldTour event during a window period between February 27 to March 3.The competition is any two days during the window.